This month’s designer spotlight falls on French product designer Inga Sempé. Born in 1968, Sempé grew up in Paris, the child of two artist parents, the famous illustrator Jean-Jacques Sempé (a frequent contributor to various international publications including several New Yorker covers to his credit) and Danish children’s book illustrator Mette Ivers-Sempé. Growing up in an artistic environment might have sparked an interest in drawing but Sempé insists that her artistic parents had very little to do with her decision to become a designer. In 1993 she graduated from the Parisian public school for Industrial design – Les Ateliers-ENSCI and held a scholarship at the French academy in Rome from 2000 to 2001. In 2000 Sempé opened her own studio in Paris after working for Marc Newson, George Sowden and Andrée Putman, but has almost actively avoided the mainstream recognition of her contemporaries. Dubbed “the next big thing” in design and “The Wizard of Odd” she shies away from such platitudes, saying that it doesn’t interest her to be a name or a face of design. Inga Sempé is a designer of extraordinary sensibility. She transforms mundane everyday furniture, such as clocks, chairs, sofas and wall lights into unique, elegant objects. The collection of colourful umbrella-shaped pendant and table lamps for Wästberg , simply titled “w103” can be used individually or as a collection symbolising a rainbow of light. 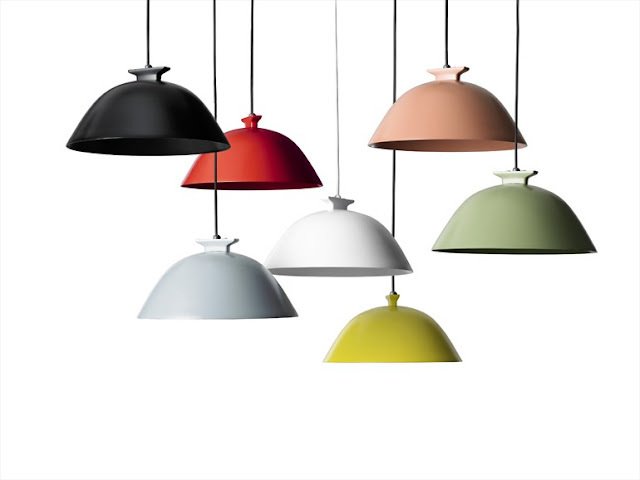 Each lamp features a hand-spun shade and three rotating positions in order to provide maximum light where necessary. As with traditional tool machine lighting, the mechanics of each lamp are sturdy and long-lasting with the aim of again improving classical industrial elements. 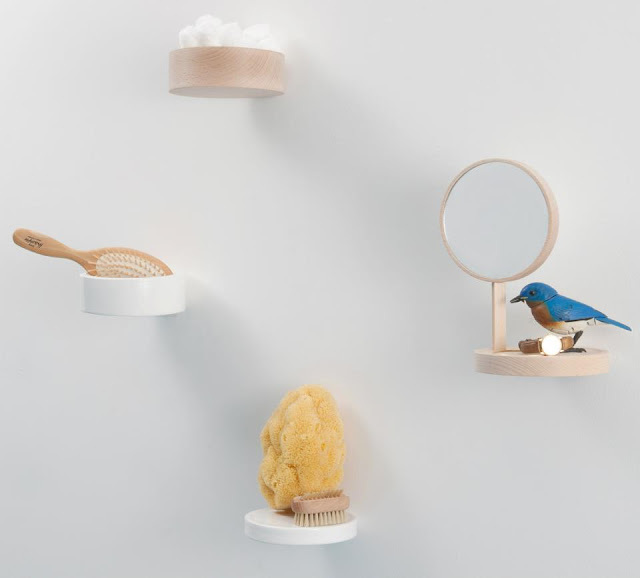 The Balcon collection for Moustache include a range of little round wall-mounted shelves, a mirror and dishes meant to be grouped in clusters. This is especially convenient for storing keys and checking makeup in the hall or for brushing teeth in the bathroom or simply to display small ornaments. 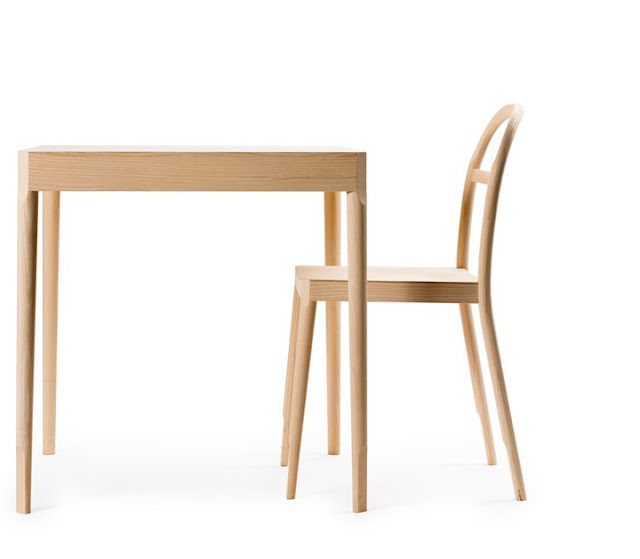 The Österlen chair and table for Gärsnäs, has slices cut out of the bent back and round legs to make a comfortable backrest, create neat joints with the square plywood seat and sharpen the line of the legs. Corresponding cuts in the table legs soften its corners. Some of my other favourites by Inga Sempé include a quilted sofa and bed for Ligne Roset, the totemic Brosse shelves for Edra, the Vapeur lamp for Moustache.